My eldest daughter celebrates her birthday during the school holidays. Past experience has told us that her friends are usually on holiday for her birthday, and so instead of a party we go away as a family for a few days. She loves it because she gets to choose were we go and what we do as her birthday treat. 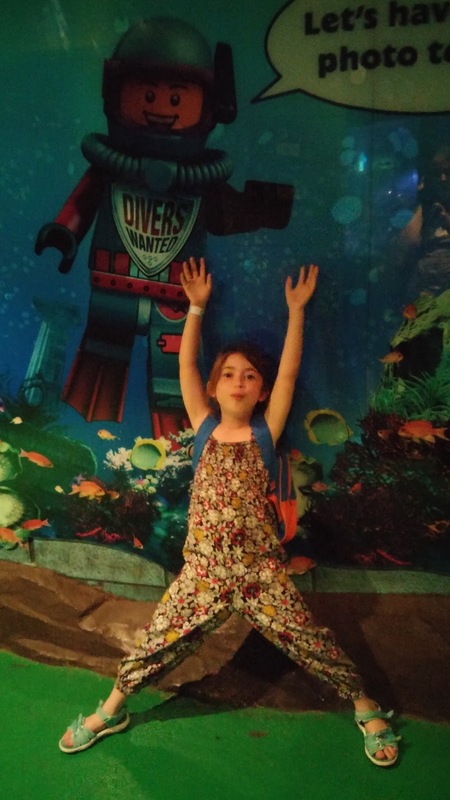 This year she chose to go to Legoland, somewhere we had never been before but a place we had all longed to visit. I feel I should mention that we have not been asked to write this post, or received any compensation and I simply wanted to document our family time at Legoland for her birthday. 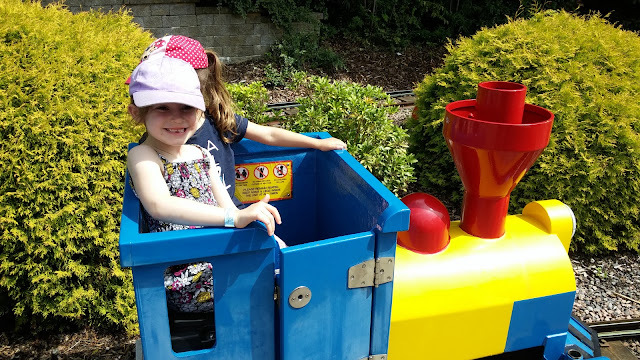 Legoland is a good 4 hour drive from our home and given we are very conscious of the amount of time Little Man spends in a car seat we decided to not only break up our journey, but also book a place to stay close by so we could make the most of our days at Legoland. I searched for hours looking for somewhere to stay, as most places could only accommodate our family in 2 hotel rooms and logistically this would have been a nightmare, so I booked the Lexington Apartments in Slough. The apartments provided us with a great base, we arrived late on Thursday evening and left late on Saturday night, we had booked until Sunday but my youngest daughter became very unwell and we decided to leave early just in case we needed medical treatment. This gave us two full days in Legoland, and meant we could leave at 9.30am and be one of the first to arrive. We had pre booked tickets, which meant we joined a shorter queue, even so we queued for around 45 minutes on Friday and just over an hour on the Saturday just to collect our tickets. The weather did not help, it was scorching hot and there was no where to hide in the queue so we were left to face full sun with three young kids. A member of the public did faint from the heat in the non pre paid ticket queue, which goes to show just how hot it was. I would recommend booking tickets in advance, the queue is much shorter, and book for at least 2 days. Also if possible avoid weekends it was noticeably a lot busier. The girls eyes lit up when we entered, like kids in a sweet shop they were Lego fans at Legoland and they wanted to see and do everything. 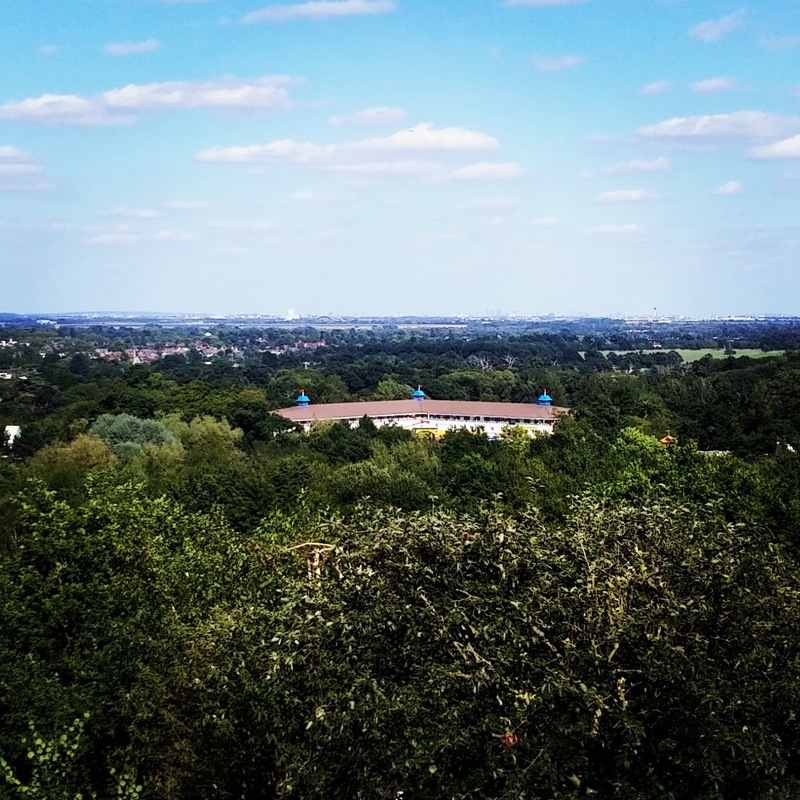 We planned our day to start at the top of the park and work our way forwards, with day 1 doing the left side and day 2 the right. It felt the most logical way to tackle the vast theme park. I am sure there are other ways, perhaps planning around shows or picking favourite rides, but this made sense to us. Having now visited Legoland I would say it is most suited to children around 5 - 8 years old, but each child needs to be accompanied by an adult under 130cm in height. This was a big problem for us. Given that the vast majority of the queues were in full sunshine with little shade, and were not pushchair friendly either myself or my husband had to stay at the entrance to a queue with Little Man in his pushchair. It was far too hot to put him in a sling, and he did not want to be carried given the heat and the bright sun. The other then joined the queue with the girls. The vast majority of the rides we went on meant that one of the girls had to be left at the front of the queue on their own, whilst the other rode the ride with us. They would then swap places. I was less than happy about this, and the girl left waiting would cry the entire time until we returned. It was a horrible experience for us and actually stopped us from going on a lot of the rides we really wanted to go on. Why there was no chaperon service available, or a call to see if a single adult was available in the queue to ride with the other child I do not know. I would have happily waited a little longer until an extra adult on their own came to the front of the queue, because they often did but the operators would not allow then to ride with one of my children. We began to work out which of the rides would require 1 adult per child, and simply did not go on them. It was causing too much distress for the child left in the queue waiting. 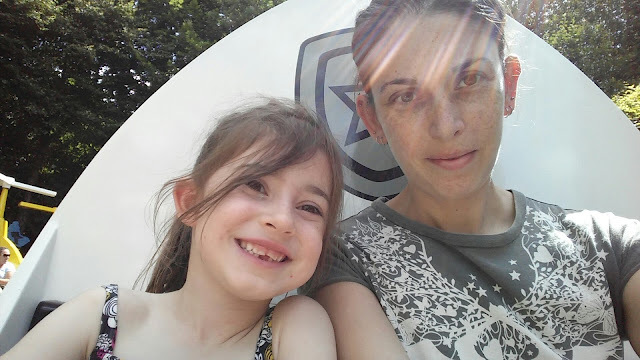 Instead we opted for the rides the girls could go on together and without an adult, there were still plenty of these and whilst they did not fulfil my adrenaline daughters need for fear, they both had smiles on their faces and loved riding together. There are a good selection of shows on throughout the day and in various locations in the park. Little Man and I sat and watched 'Three Little Pigs' in Duplo valley whilst the girls were on a ride with their Dad. The girls however loved the Lego Friends show at Heart Lake City, and we watched the show more than once over our two days. 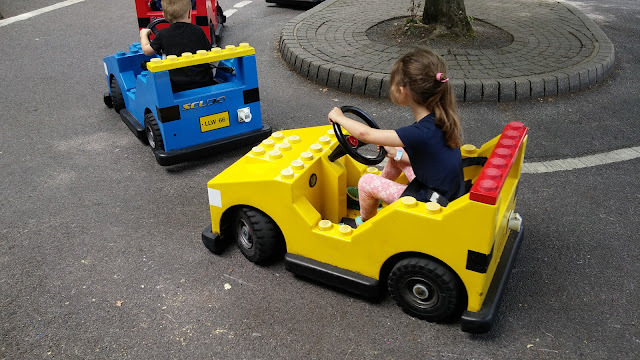 My youngest was too young to take part in the Lego driving school, so she had to take part in a smaller version of the drive school. She still really enjoyed driving a car and was even more thrilled to receive her driving license afterwards. 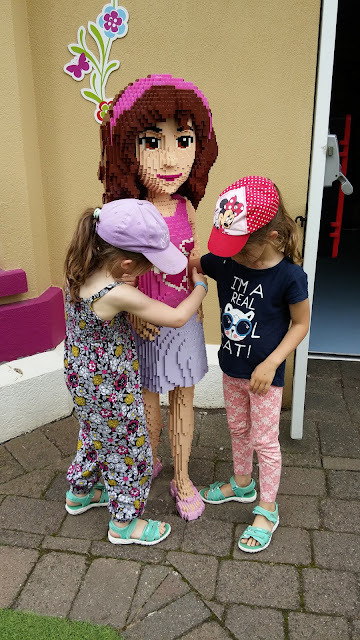 I think out of all the different areas of Legoland the girls liked Heart Lake city the best. They spent the most time here admiring all the Lego sculptures and it was the one place they kept asking to come back to during our two days. 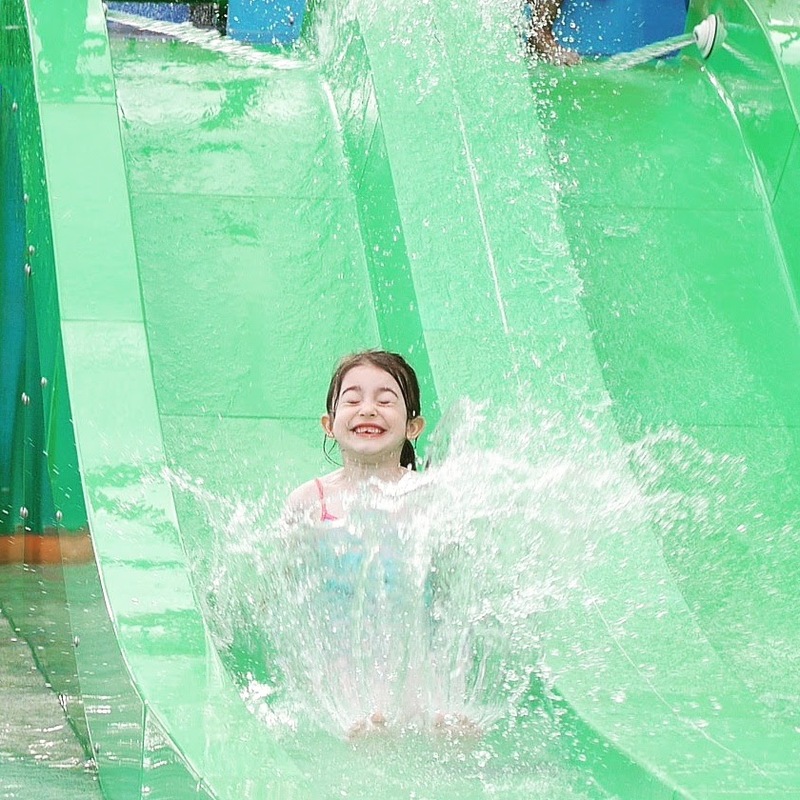 By far the girls favourite area was Splash Safari. The area could have perhaps done with a few more toilets and changing rooms, but once changed there was no stopping the girls. 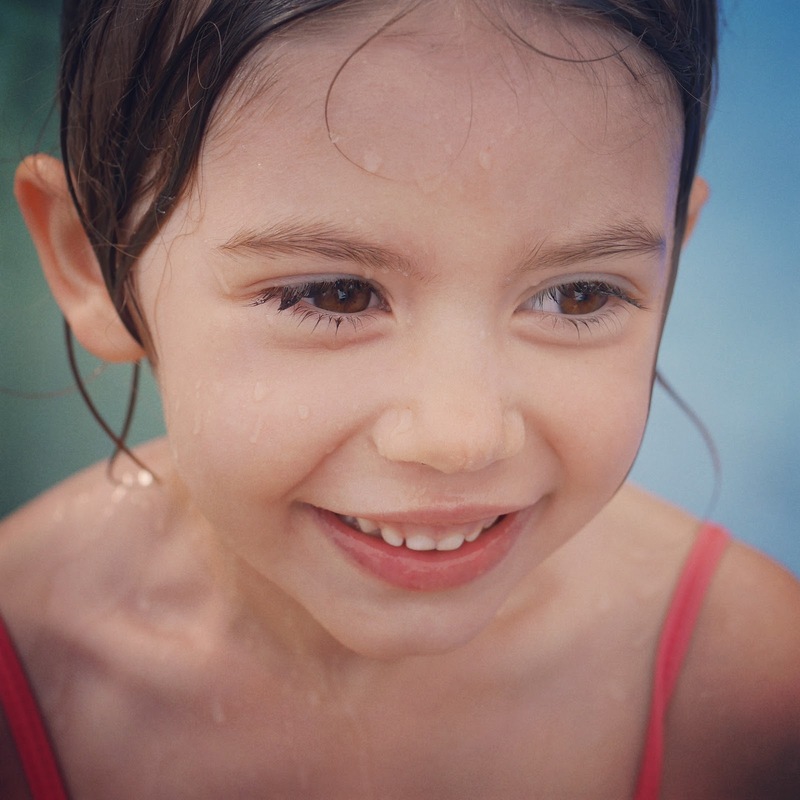 Running through the water, climbing the different play areas and laughing and giggling the whole time. Given the hot weather it was just what was needed, and one of the few parts of the park that had no queue. The girls loved it. I loved watching them but like all outdoor water parks in the UK no matter how hot it is you do still start to feel the cold and after 40 minutes the cold water began to make the girls shiver and it was time to get dressed. My favourite part of Legoland was Atlantis. This was due to a number of factors, the first was we could all ride this together, even Little Man who had been unable to ride anything else. It was a totally unique experience, a ride I had never experienced before and I think it really set Legoland apart from other theme parks. What Atlantis did too was make me realise how much I miss diving, and so when Little Man is a bit bigger I may look into diving again. 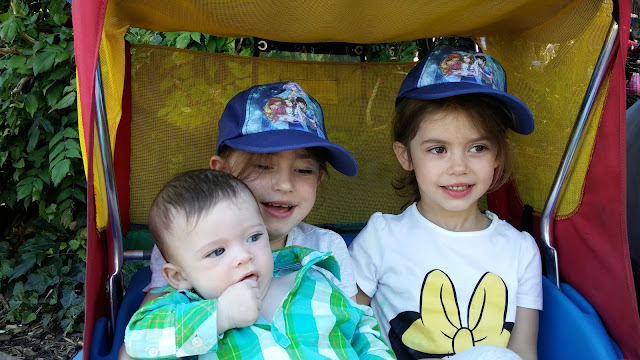 All 3 of my children loved Atlantis and we kept our eyes on the ride screens in the park to join the queue at the shortest possible time. 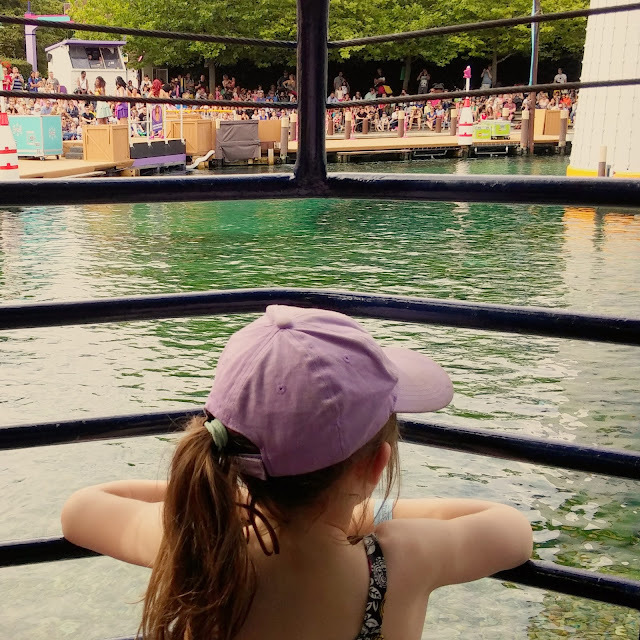 We had not even covered half the park on our first day and were so glad we had booked tickets for a second. 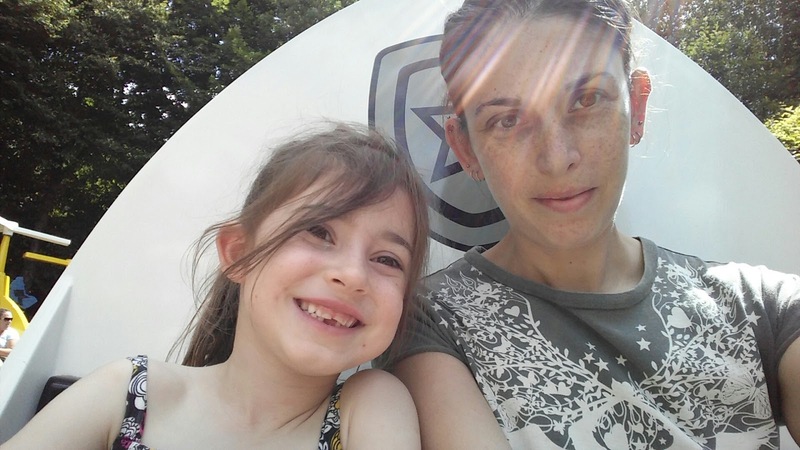 My youngest began to feel progressively unwell as the day unfolded and as a result we hired a buggy to help her rest. The girls seemed to love their new chariot, Daddy pushed them as I pushed Little Man in his buggy. Our second day was spent more taking in the views and the park as a whole. As it was a Saturday ride times that had been 30-45 minutes the day before had now at least doubled in length and the girls just did not want to wait this long. They loved watching the shows, shopping and taking our time in Miniland. 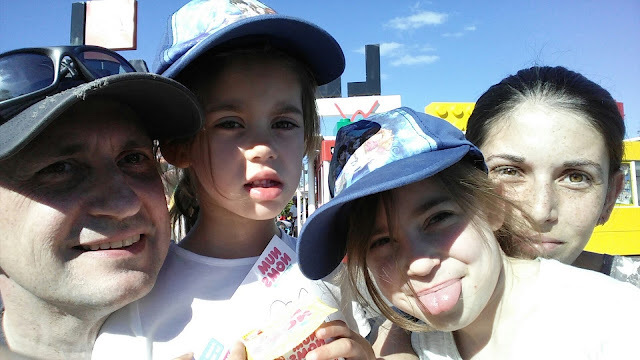 The heat began to make my youngest feel worse and so we took the decision to leave a little earlier than we would have liked to. Looking at this photo we took as we left you can see how poorly she was getting. 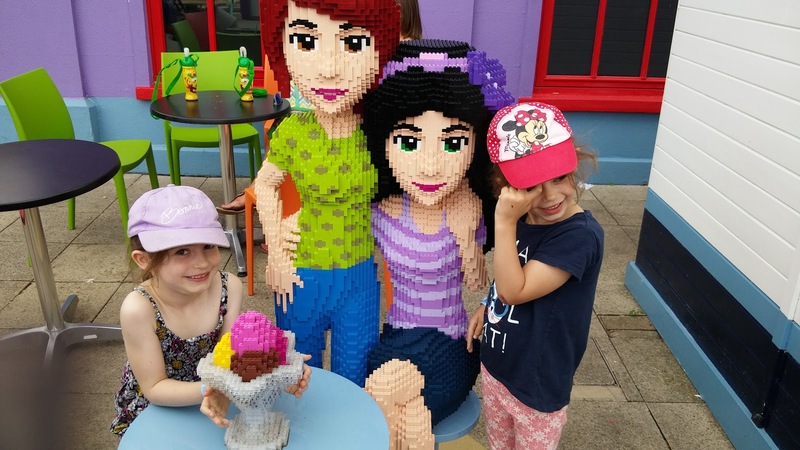 My eldest daughter said it was one of the best birthdays ever and would love to visit Legoland again. I think we will be shall wait until both girls, or at least one of them, is over 130cm tall and that way we will all be able to ride the rides together.